TOSAQ presents internationally acclaimed Australian John Giacchi in a concert of love, loss, passion and fame. Throw everything you know about organ music out the window. This program will connect with your musical soul and leave you wanting more. 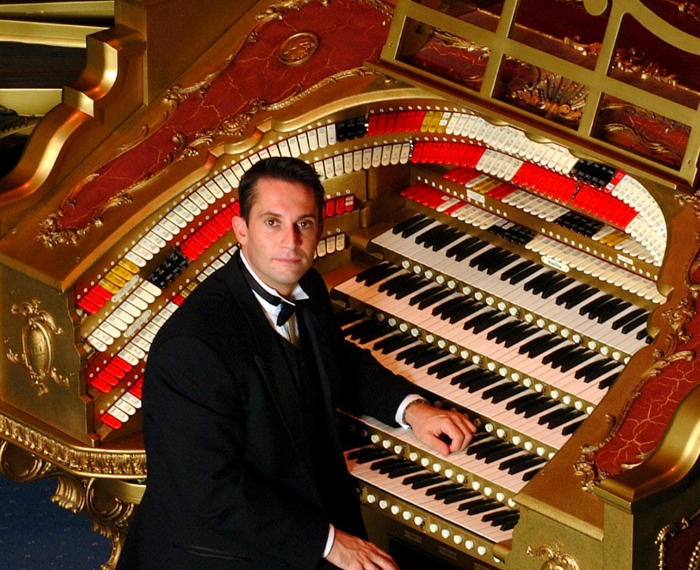 John will present a spine-tingling program featuring music from Rodgers and Hammerstein’s State Fair, the thrilling Slaughter on 10th Avenue, music by Harry Warren, Puccini and Ferde Grofé’s The Mississippi Suite, depicting scenes along a journey down the Mississippi River to New Orleans. Soak up the atmosphere with a complimentary glass of wine on arrival, comfortable cabaret style seating with projection of the performance on screens from multiple cameras and afternoon tea at interval. Early Bird tickets must be booked by Sunday 31 March 2019. TOSAQ is considered “… one of the most progressive and forward thinking theatre organ groups in the world….” Neil Jensen, Sydney 2018. Discover our special brand of magic, book today! 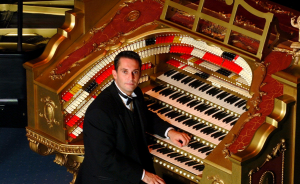 The ‘retro’ experience of the TOSAQ Christie organ rising out of the floor, just as it did in the luxurious Granada Theatre in the 1930’s, is just one of the reasons that is attracting music lovers to TOSAQ concerts.